Running a church or other religious institution definitely presents you with some amazing opportunities, but to truly take full advantage of them you’re going to need a shuttle bus or perhaps even a fleet of shuttle buses to realize your vision for a perfectly functioning church. There are many reasons for which you might need to start using shuttle buses for your congregation, not all of which are entirely obvious at first, but as you move forward in your ministry it’s going to become all too clear. You’re going to want the best church bus repair, and there is a strong chance that shuttle bus repair specifically will be on the table. Let’s take a look at some of the most common reasons for which you will want to employ a single bus or even a fleet of buses. Once we cover that, we’re going to talk about the quality repair services offered by Atlantic Bus Sales. Before we get to the point of church bus repair, we find it prudent to discuss the fact that there are many different jobs a church bus can perform. Some of these can easily include: Parishioner Transport – Moving your church members from one place to another might very well be a requirement of your church, and with good reason. First of all, you’re going to find that you need to make sure they can actually get to your facility. Not everyone has a car, and not everyone has the ability to drive a car. That being the case it should be no surprise to you that shuttle buses can come in handy both on and off your campus. Youth Group Transport – They say that the children are the future and that couldn’t be much more true that in a church. Your children will form the next generation of your church, and making sure that they ca get to Sunday morning service is absolutely vital. In addition to that you may need a bus to carry them to mission trips, field trips, outings, and all sorts of other events that you might not have thought of yet. Shuttle buses are definitely preferred for this endeavor due to their sturdiness and their safety features. Mission Trips – The church as a whole will definitely benefit from mission trips, but you probably already knew that! You might be making a visit to the local nursing home, or maybe you’re visiting a shopping mall to hand out pamphlets. Then again, maybe you’re heading to a member’s house to do some yard work. There are plenty of reasons for which you might find yourself heading out into the wild, and having the right shuttle bus can definitely make all the difference in the world. There are lots of other reasons for your church to use a shuttle bus, as you’ve probably already managed to discover. The most important thing is making sure that you have a safe bus for transport, and all of the products from Atlantic Bus sales feature a roll cage among other amazing safety features that will keep your vehicle on the road and your congregation safe. 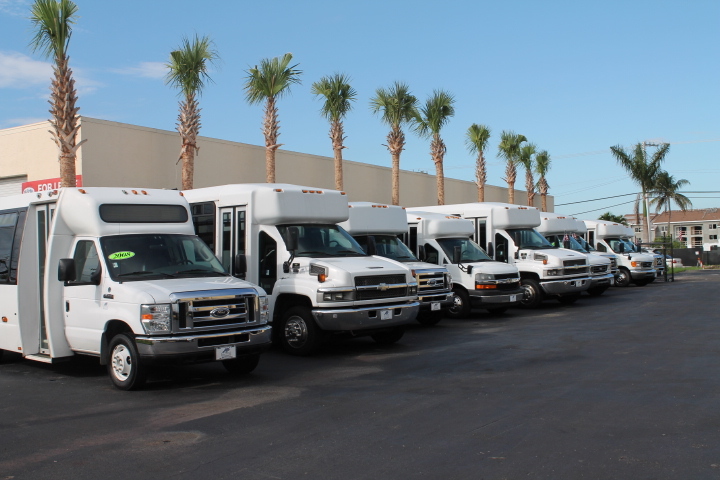 Atlantic Bus Sales aims to be your one stop shopping experience for bus purchases and repair. To that end, we strive to be your supplier for more than just the initial purchase – we want to make sure you get the best shuttle bus repair from the best dealer for the foreseeable future, and as a company that has been in business for the past thirty years, we can guarantee that you’re going to get exactly what you need. It won’t be too long before you’re relying on us whether you’re looking for brand new parts, used parts, or even next year’s Diamond model. As an experienced dealer we have everything you need and we’re ready to make sure that your bus or fleet of buses not only stays on the road, but that it keeps your congregation mobile.